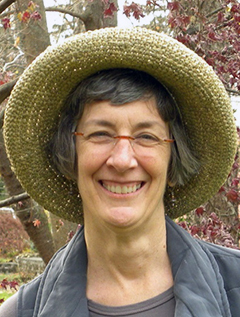 Marta McDowell teaches landscape history and horticulture at the New York Botanical Garden and consults for private clients and public gardens. Her books include The World of Laura Ingalls Wilder: The Frontier Landscapes that Inspired the Little House Books in September 2017. All the Presidents' Gardens made the New York Times bestseller list in 2015 and won an American Horticultural Society book award. Beatrix Potter's Gardening Life won a 2014 Gold Award from the Garden Writers Association and is in its sixth printing. Marta is working on a revision of her first book, Emily Dickinson's Gardens. Marta is one of the founders of the Chatham Community Garden and is on the board of the NJ Historical Foundation at the Cross Estate in Bernardsville. Her husband, Kirke Bent, summarizes her biography as "I am therefore I dig," and their pet cockatiel is named Sydney.